Do you offer low maintenance composite materials for your deck designs? 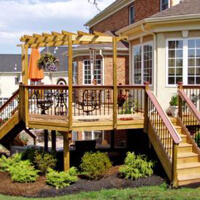 Yes, each of our Northern Virginia deck designs utilize low maintenance composite materials for your convenience. A low maintenance backyard deck, sunroom, front porch or patio is something any good custom deck design should encompass. Our deck construction experts utilize the best possible materials from such fine manufacturers as Trex, TimberTech and Azek. Let Distinctive Deck Designs build you the worry-free deck, front porch (including screened porches), patio or sunroom you have always wanted. We have satisfied customers in Fairfax, Burke, Reston, Vienna, Clifton and all over Northern Virginia. We use only the best materials in our deck construction. We are certified contractors with the leading composite decking companies - Trex, Timbertech and Azek. We are also a member in good standing with the BBB and NADRA, (National Association of Decking and Railing Contractors). 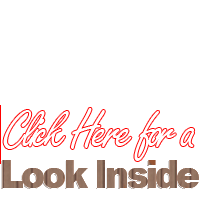 Learn more about our deck designs and let us be your custom deck builder of choice. The composite materials we use for our custom deck designs are low maintenance and come from the industry’s top manufacturers. Our deck construction contractors are professional and will complete your project in a timely and respectful manner. You can rely on our experience, and will be inspired by our creativity and attention to detail. Consult with us today! Let us help you realize the custom deck design of your dreams. Call today and let’s begin the design and installation process. The home addition of your dreams is closer than you think.